"In general Chinese people don't like museums." "Chinese don't go to museums very often. They think they are abut old things." "That's really an important issue always ignored by most of scholars in this field, maybe because museums are too serious for ordinary people, they are symbols of authority and country, or made people feel like that." These were three separate comments I received from Chinese anthropologists and tourism specialists last year. While this paper is not about the demographics of visitorship or the growth of museums attendance, we think that museum staffs are quite aware of these notions and are trying to do something about it and some are quite successful. In this paper we discuss the great variety of museums in China and their relations to different kinds of tourism. Chinese museums have until recently been official government enterprises though private museums were common prior to 1937. In the past two decades hundreds of museums have been built and opened every year. Recently private museums and industrial museums have emerged with striking and controversial consequences. First we see that museums complement and compete with other public institutions, such as historic temples, palaces, old towns and houses, questioning very nature of the museum from the tourist's point of view. Secondly we see museums as tourist destinations in themselves, taking the visitors on mental tours through cultural geography and art history. And thirdly, we examine the function of museums within the tourism system, as guides for and condensations of local and distant destinations. Examples are drawn from a wide range of contemporary museums, including provincial, city, village and 'ecomuseums' as well as archeological site museums. A final focus is on the very innovative Anji County ecomuseum system. 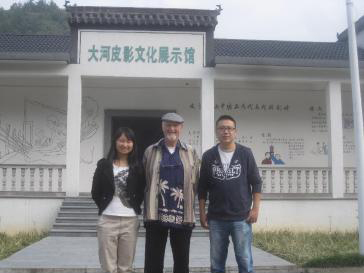 Dr. Lu Jin is among the forefront of those young Chinese anthropologists trained in contemporary studies of tourism and heritage at the Institute of Anthropology at Xiamen University under Professor Peng Zhoarong. As an undergraduate she majored in Ethnology and Ecology at the Central University for Nationalities, Beijing, carrying out research and publishing on tourism, heritage and ethnic identity. As a doctoral student at Xiamen University she was a guide at the Anthropological Museum there, and she was awarded a Visiting Research Studentship in the in Phoebe A. Hearst Museum at the U C Berkeley. She carried out research on ecomuseums in Guizhou, especially in the BuYi village of Zhenshan, and she visited some of the original ecomusées in France in 2011. She now teaches about anthropology, tourism and heritage at Ningbo Uniersity. 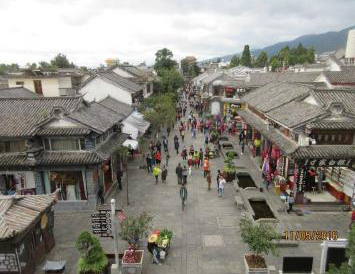 She has published extensively and her book Heritage, Tourism and Modernity: An Anthropological Research on a Buyi Ecomuseum in Central Guizhou [遗产·旅游·现代性：黔中布依族生态博物馆的人类学研究], Hangzhou: Zhejiang University Press [浙江大学出版社] was published in 2016. Nelson Graburn was educated in the classics and natural sciences at the King's School, Canterbury, and earned his BA in Social Anthropology at Cambridge (1958). He attended McGill (MA 1960) and University of Chicago (PhD 1963). After Postdoc at Northwestern, researching Inuit-Naskapi/Cree interethnic relations (1963-64), he was hired at U C Berkeley where he has taught Anthropology for 52 years. He served as Curator in the Hearst Museum since 1972 and co-chair of Canadian Studies 1976 - 2013. He has held visiting positions in Canada, France, UK, Japan, and Brazil and has lectured at 30 universities in China. He lived in 22 Inuit communities (1959-2010) in the Canadian Arctic (and Greenland and Alaska) researching kinship, cultural change, art and identity; he has carried out research on domestic tourism, multiculturalism and heritage in Japan (since 1974) and China (since 1991). Among his books are Ethnic and Tourist Arts (1976); Japanese Domestic Tourism (1983); The Anthropology of Tourism (1983); Tourism Social Sciences (1991); Multiculturalism in the New Japan (2008); 旅游人类 类类 类学文集 [Anthropology in the Age of Tourism] (2009); Tourism and Glocalization: Perspectives in East Asian Studies (2010); Imagined Landscapes of Tourism (2011), Exploring Ethnicity and the State through Tourism in East Asia (2011). Tourism Imaginaries: Anthropological Approaches (2014), and Tourism Imaginaries at the Disciplinary Crossroads (2016) and Tourism in (Post)socialist Eastern Europe (2016).